Oprah Winfrey opened up to Vogue about weight struggles, aging, depression and her love life. She explained to the fashion magazine why she never got married to her longtime partner Stedman Graham. The media mogul and "60 Minutes" contributor said that, for her, it has always been important to "live life on your own terms." She said that marriage "never came up" between her and Graham. "Nobody believes it, but it's true," she said. "The only time I brought it up was when I said to Stedman, 'What would have happened if we had actually gotten married?' And the answer is: 'We wouldn't be together.' We would not have stayed together, because marriage requires a different way of being in this world. His interpretation of what it means to be a husband and what it would mean for me to be a wife would have been pretty traditional, and I would not have been able to fit into that." In 2015, she told Shonda Rhimes on "SuperSoul Sunday" that Graham did once ask her to get married. "The moment he asked me to marry him, I was like 'Oh, God! Now I actually have to get married?'" she said, adding that they decided to postpone marriage and then never talked about it again. "But what I realized is, I don't want to be married." Winfrey also talked about how she was depressed after her 1998 movie "Beloved" failed at the box office and said that it took her six years to recover through what she called "gratitude practice." Oprah Winfrey becomes special contributor to "60 Minutes"
"It's hard to remain sad if you're focused on what you have instead of what you don't have," she said. 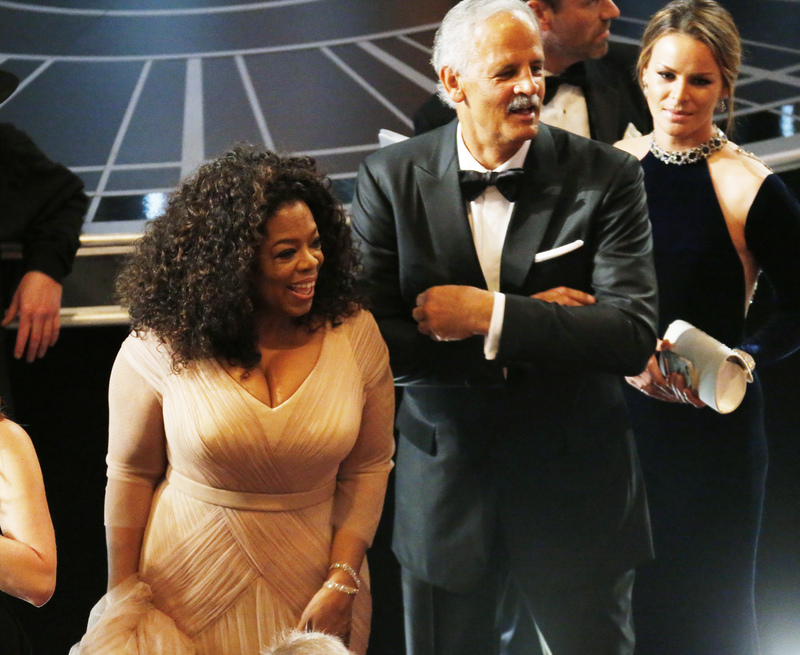 Winfrey said that easing into her 60s has helped her become more comfortable with herself. "There is a deepening and a broadening and quickening of the knowing that happens in your 50s," she said. "Maya Angelou used to say to me, 'The 50s are everything you've been meaning to be.' You'd been meaning to be that person. By the time you hit 60, there are just no ... damn ... apologies. And certainly not at 63."